The 2650A series of compact, light weight and cost-effective spectrum analyzers are for quick and precise signal investigations, especially away from the bench. 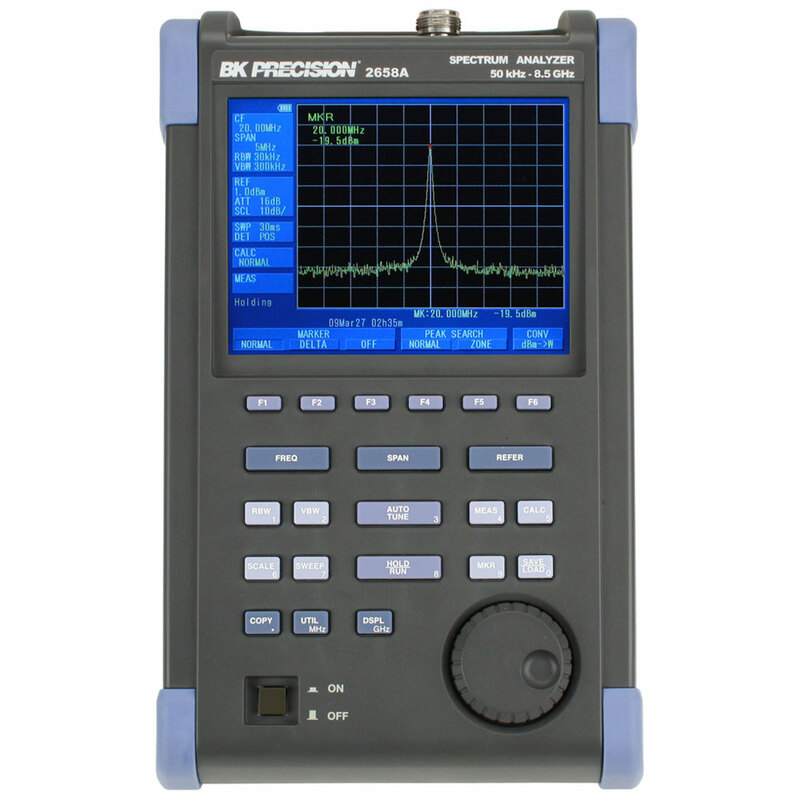 At a weight of only 4 pounds (1.8 kg), these instruments are by far the lightest full-featured handheld spectrum analyzers available, yet they deliver performance and features comparable to a full-size bench spectrum analyzers and can operate up to 4 hours on a single battery. The CT 2701 coaxial connector adapter kit provided convenient solutions to most interconnection needs. The Universal Coaxial Adapter Kit, with its 6 universal adapters, allows assembly of hundreds of different coaxial adapters; in-series and between series. All pieces are machined brass with Teflon dielectrics and gold plated center contacts. Whether field service or bench, this kit provides an easy solution to coaxial connection requirements. Leather textured carrying case with strap to carry and protect models 2650A, 2652A and 2658A. A dipole antenna (options M401 - M406) connected to the RF input enables the measurement of electric field strength. Users can choose from 6 antennas based on the frequency range under investigation. Each antenna's resonance point is optimized for the frequency spectrum of a specific wireless standard. M401 is suitable for GSM 850/900 measurements. A dipole antenna (options M401 - M406) connected to the RF input enables the measurement of electric field strength. Users can choose from 6 antennas based on the frequency range under investigation. Each antenna's resonance point is optimized for the frequency spectrum of a specific wireless standard. A dipole antenna (options M401 - M406) connected to the RF input enables the measurement of electric field strength. Users can choose from 6 antennas based on the frequency range under investigation. Each antenna's resonance point is optimized for the frequency spectrum of a specific wireless standard. 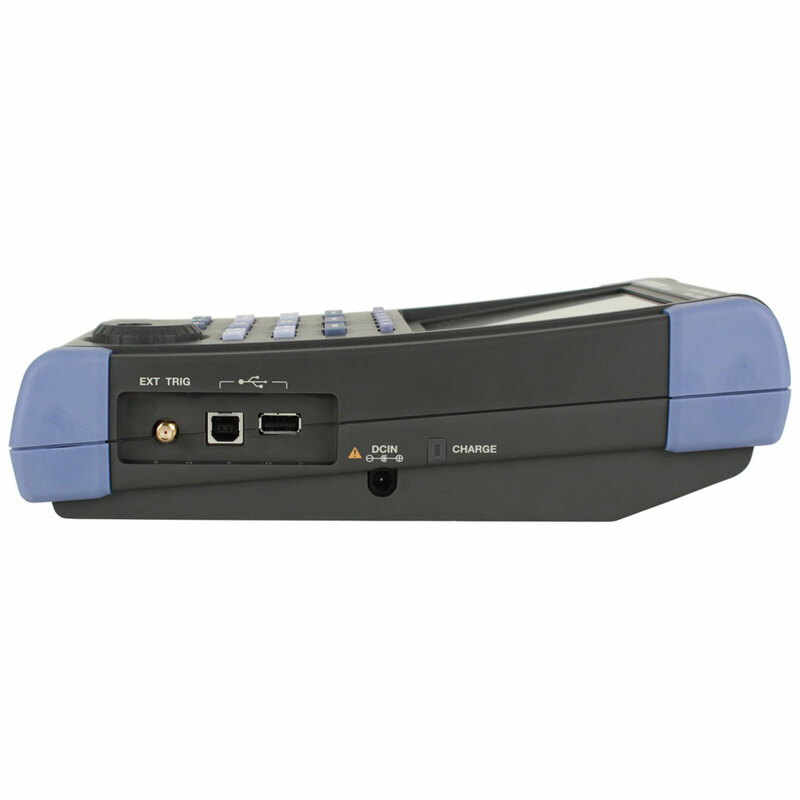 M403 is suitable for W-CDMA and GSM 1800/1900 measurements. A dipole antenna (options M401 - M406) connected to the RF input enables the measurement of electric field strength. Users can choose from 6 antennas based on the frequency range under investigation. Each antenna's resonance point is optimized for the frequency spectrum of a specific wireless standard. 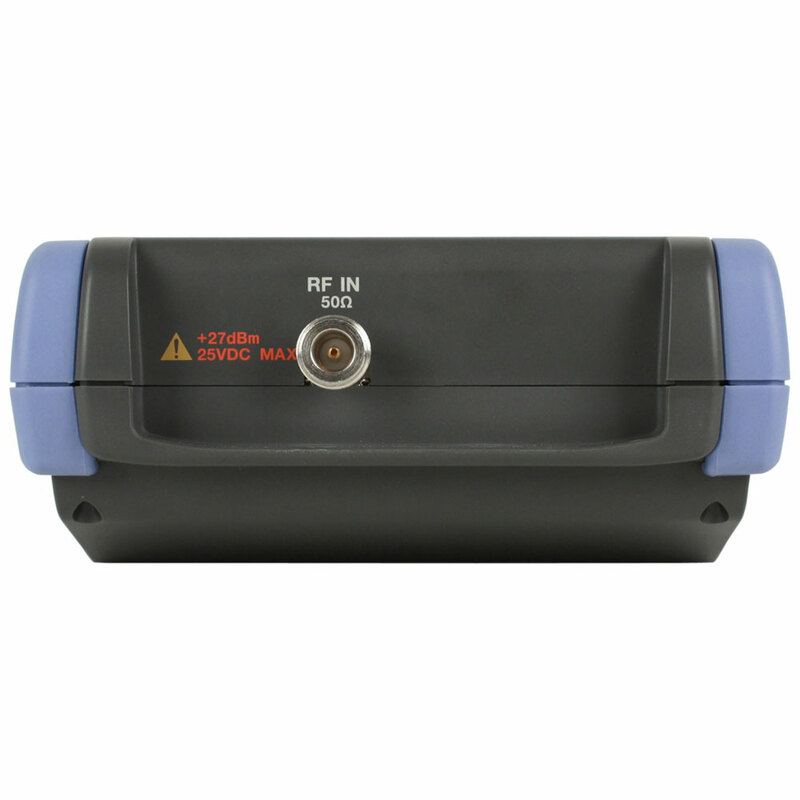 M406 is suitable for 5 GHz WLAN measurements. The AC adapter MA400 accepts 100 to 240VAC, 50/60Hz and outputs through its pin jack a 9V/2.6A DC voltage to power the 2650A series spectrum analyzers. Using a magnetic field probe, the 2650 and 2650A series is capable of accurately measuring the magnetic field distribution on a PCB (printed circuit board) or IC (integrated circuit). The magnetic field strength detector inside the probe consists of a shielded loop structure using a glass ceramic multi-layer board technology with high frequency characteristics. This enables the detection of magnetic field components only. The probe can measure over a wide frequency range of 10 MHz to 3 GHz. Since the probe's compensation data is already preloaded into the analyzer, the magnetic field strength is displayed directly in dBuA/m. The probe comes with a SMA (female) to M (male) between-series adapter. With the USB printer PT 2650A you can print hard copies of screen images. The printer can either be operated by an AC adaptor or four AA batteries, which makes it possible to produce about 140 hard copy screen images (on one set of batteries). The PT 2650A comes with one roll of paper. Order part number PX2650A for an additional ten rolls of thermal paper. PX 2650 is ten rolls of 80mm wide thermal paper for use with PT 2650 and PT2650A.